Here at Hamster Wheels, we think there's nothing more adorable than spinning hamsters. Mull it over for a second...we're right aren't we! So that's why choosing the right wheel for your hamster is just sooo important - good job we're here to help then isn't it?! This simple guide on choosing a hamster wheel will make sure that it's your hamster (and not you) getting the run around. Hamster's in the wild love to run; primarily to scavenge for food, so it's an inherent part of their instinct to be on the move. That's why it's so important to provide them with exercise as pets and a wheel addresses this need. The great thing about hamsters is that they will actively seek out exercise. Sadly, vets still report cases of obesity among rodents as a result of poor husbandry. Extreme cases have resulted in paralysis or death. It's a popular belief that the Aztecs invented the wheel. Wrong! It was in fact hamsters and that's why they love running on them. Most of you would agree that a hamster's cage isn't complete without a wheel. 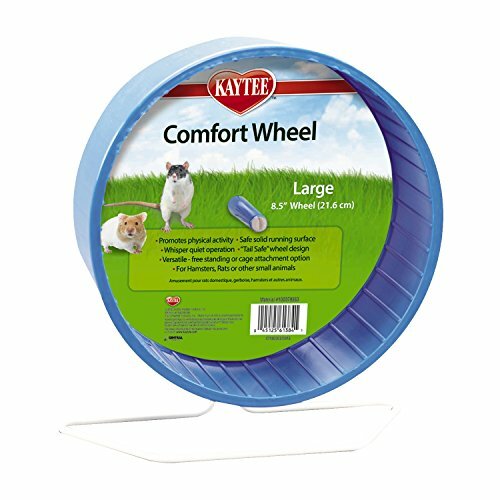 Many hamster gurus would argue that bigger is better, but make sure you don't buy a wheel that doesn't fit - measure up before you buy. 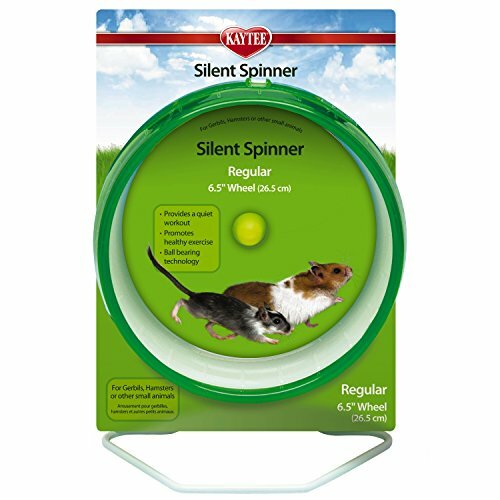 Smaller hamsters, such as the dwarf species, will benefit from a smaller six and-a-half inch wheel, while larger breeds, such as the Syrian (golden) hamster, will be best suited to the larger eight inch wheel. 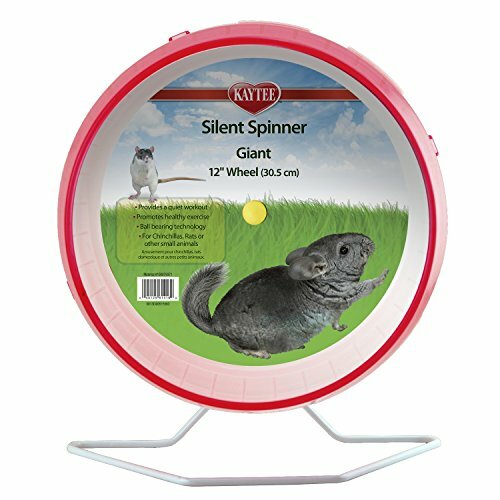 It's worth considering the later point because too small a wheel could cause problems with your hamster's spine and posture. Another preference is a solid running surface; one that doesn't trap or catch your hamster's feet. Avoid wheels with rungs or anything that looks like it could have snare points - wire laddered wheels are particularly risky, even if they look like a cheaper option. Injuries can lead to the nasty foot infection bumblefoot. A lot of owners prefer solid metal wheels because they cannot be gnawed or chewed. One particular bugbear is noise. If your hamster shares your bedroom with you, then listening to it spin its little heart out at three o'clock in the morning (yes - hamsters are nocturnal in case you'd forgotten) isn't quite so adorable. Wheels that run on ball bearings are considered to be a quieter option. If you find yourself with a squeaky wheel, avoid using mechanical lubricants as they could prove harmful to your hamster. You can always ask for advice at your local pet store or search and read-up at online retailers - keep an eye out for customer ratings and comments. A word of warning - hamster wheels should be removed from a cage where a mother is nursing babies. Not only could it become a distraction for her, but it's also potentially dangerous for her tots. Remember, if your hamster is showing no interest in its environment and appears to have little appetite for exercise, there could be a medical reason and the opinion of a veterinarian should be sought.